It is a traditional dish enjoyed by many (if not all Koreans) during the New Year’s and Lunar New Year holiday. Its color and length are symbolic—representing longevity, purity, and a fresh start to the new year—and a reminder of Korea’s past when high mortality rates were common and living conditions were poorer. 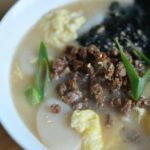 On New Year’s Day, there’s a custom of asking “How many bowls of tteokguk have you eaten?” to ask an individual’s age and the idea of getting a year older. 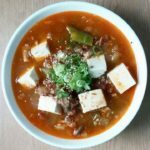 This soup is not only for special occasions, but can be deliciously enjoyed all-year round for large groups and festive events. This is a semi-quick version that doesn’t take longer than 30 minutes. 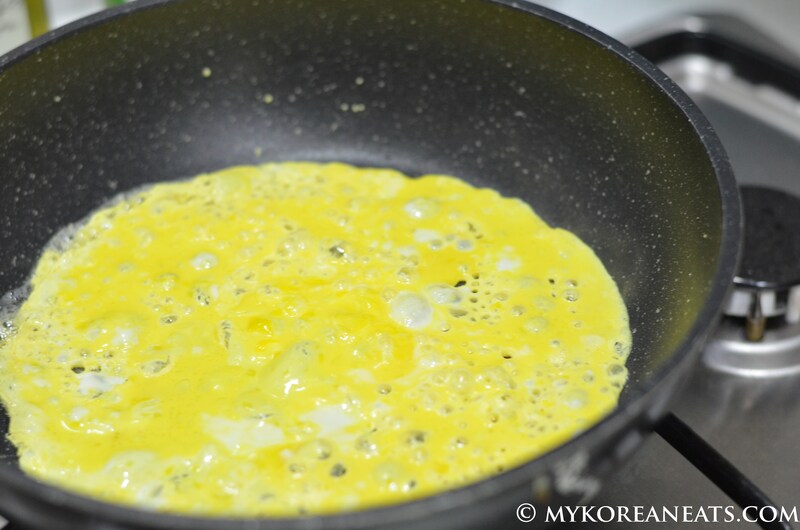 After separating the egg whites and yolk, fry them on a non-stick pan. If you want to cut cooking time even more, you can fry them together instead of separately. This Korean beef stock is a life-saver, and even better, the final result is hardly affected. After boiling the stock a few minutes, add the tteok (rice cakes) and scallions to the mix. 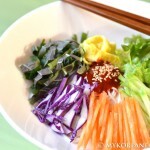 Garnish with egg strips, ggim (seaweed), and some greens. 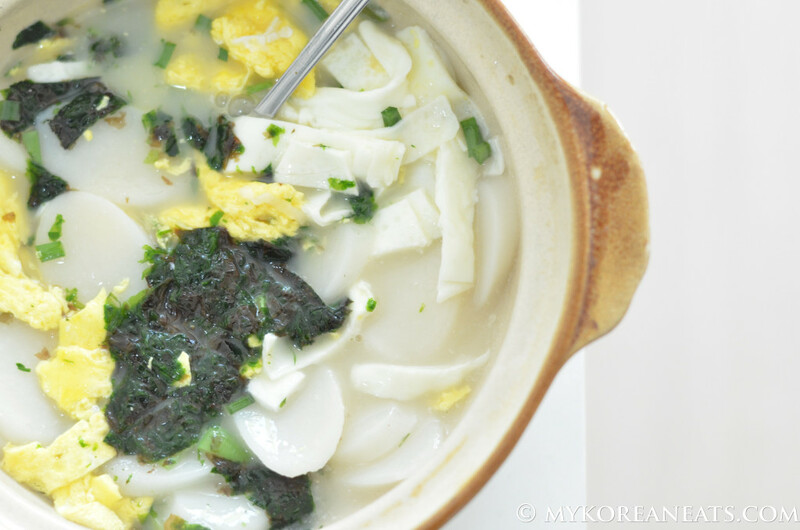 After some mixing and mashing, your tteokguk should look something like this. 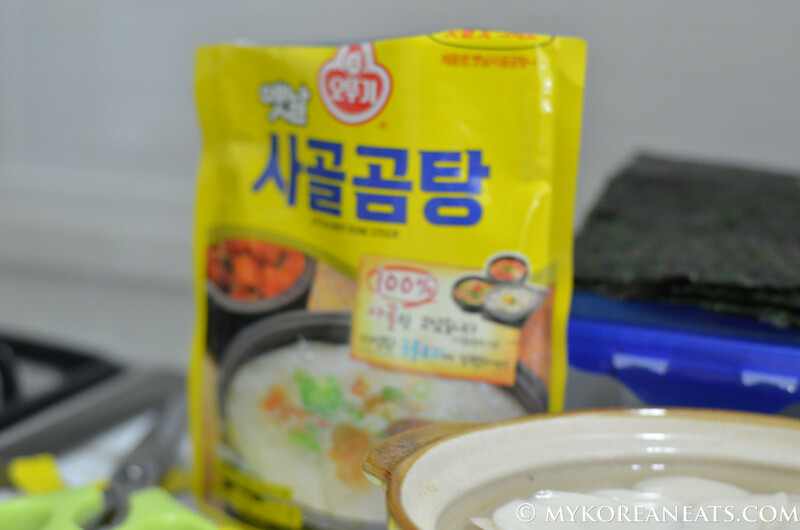 Rinse the rice cake in cold water; soak in water for at least 15 minutes if frozen or partially frozen. Pour the instant beef stock into a large pot and boil on high heat. Add the minced garlic and rice cakes. Boil at a simmer about 10 minutes or until the rice cake slices start to float. Season with a little salt and pepper. When rice cakes are almost cooked, include the scallion slices. 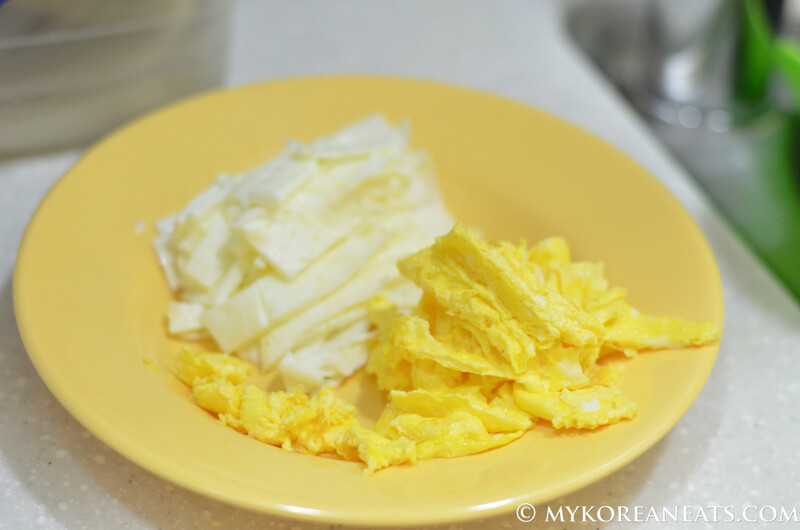 Make the garnish by separating the egg whites and yolks. In a non-stick pan or skillet, add olive oil and fry them into a thin sheet; transfer to cutting board and cut into thin strips. For the sheets of gim (seaweed), toast them over medium heat for a few seconds; cut into thin strips. 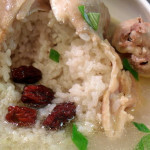 Ladle the soup into bowls, dividing the rice cake slices evenly. 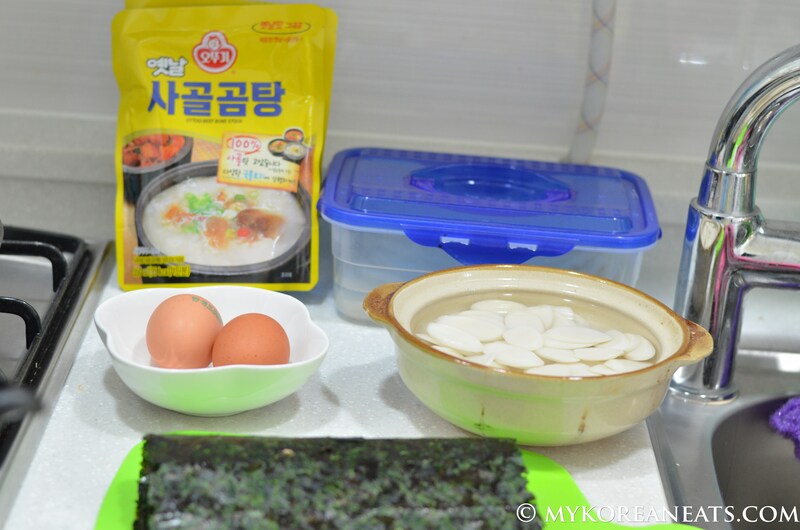 For each serving, place a nice handful of the egg strips, scallions, and seaweed strips. 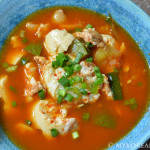 Serve hot with kimchi or kkakdugi (cubed radish kimchi).